Big Al | Beer Blotter: Seattle based. World focused. 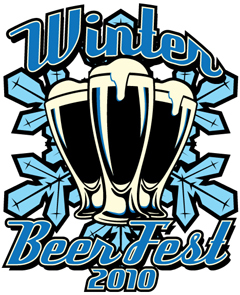 Seattle Winter Beer Fest: Its time to get jolly! First it was harvest season and in celebration we indulged in glorious IPAs, then it was Halloween, so we attended a Pumpkin beer fest. Now, the first snow has fallen (sending Seattle into a state of disbelif, terror and general panic) and it is time for Christmas brews and Winter ales. *Open exclusively to WABL members. $23 advance/$25 at the door. Admission includes a tasting cup and six 5 oz. beer tastes. Additional tokens are available at $1.50 each. We accept cash and check only. Sorry, no credit cards! Admission and token sales will end at 45 minutes before the end of each session and taps will close with 20 minutes left in each session. Space is limited so get your tickets early! Advance tickets are available online now. Advance ticket sales end at 5:00 AM on Friday, December 10th, or whenever tickets allocated for advance sale are sold out. There will be additional tickets available at the door during the event. There are so many amazing beers being poured at this event- check out the full list here! What beer puts you in the holiday spirit?? There seem to be a decent amount of contests going on here in Washington State and this is no exception. This past Saturday, Brouwer’s Cafe hosted Seattle Weekly’s Homebrew Contest. Beer was poured, tasted, judged and ultimately a difficult decision was made. Nate Muller took home the title of best homebrew for his Belgian Dubbel, called “Ommeknate”. Not only will Nate’s Dubbel be on tap at Brouwer’s for the month of November, he gets to brew this recipe on Big Al’s system. Lucky guy. So head down to Brouwer’s and get a taste of victory. However, others were rewarded for their innovation and skill as 5 home brewers received recognition for producing the best beer of their category. So congrats to Nate and the other winners for your dedication to craft brewing. Keep up the hard work! If you attended this event at Brouwer’s and you have an opinion about which home brewer tickled your tastebuds, then leave a comment or email me at jess@beerblotter.com! Every year, local TV station, KING 5 takes a tally from the Washington State population on their favorite bars, restaurants, friendliest athlete, bike shops and so much more. This year and for the third year in a row, Silver City Brewing Co. located on the Kitsap Peninsula won best brewpub! Trust me, it is well deserved. There were 402,855 votes in the 2010 Best of Western Washington contest. Other nominees for best Washington state brew pub include, 7 Seas Brewing (Gig Harbor, WA), Big Al Brewing (Seattle, WA), Black Raven Brewing Co. (Redmond, WA), Port Townsend Brewing Co. (Port Townsend, WA) and many more. Nominees spanned the state and many are at the top of my list. Silver City gives us Seattleites a reason to hop on a ferry to Silverdale, WA. A large facility, Silver City brews amazing beers, showcases only the finest bar food and is very welcoming to its patrons. So, congrats to Silver City who brews amazing beers such as their Woop PAss Double IPA, Fat Scotch Ale (so good), Indianola Pale Ale IPA and several others including some amazing seasonals. 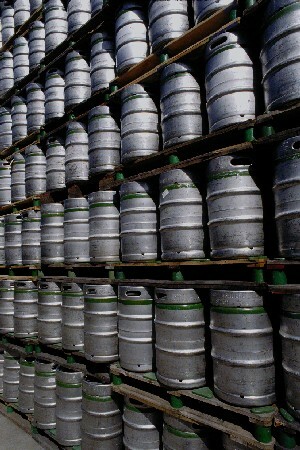 I am looking forward to their Winter Bock, Nutcracker Special Belgium Brown Ale and their Christmas Ale, Old Scrooge. Tis the season. We like to experience beer, we like the state of Washington and we like Redhook Brewery (you must take one of their tours- lots o’ beer and knowledge for $1.00). We were asked to share information about the 2010 ExBEERience and are honored to do so. We will be in the far off land called Belgium during this event, but if we were in Seattle, you better believe we would be there! The 4th annual ExBEERience will be held on Saturday, March 13, 2010 at Redhook Brewing Company in Woodinville from noon to 4 PM. The event, sponsored by the Cascade Brewers Guild home brewing club, will feature commercial brewers, home brew samples, food, and the recognition of award winners from both the 2010 Cascade Brewers Cup home brewing competition and the annual awards from the Washington Homebrewers Association. Brewers scheduled to pour at the event are Alaskan Brewing, Baron/3 Skulls, Big Al, Black Raven, Firestone Walker, Fremont Brewing, Georgetown, Issaquah Brewhouse, Kona, Lazy Boy, Odin, Powerhouse, Redhook, Trade Route and Widmer. Proceeds benefit Childhaven, a non-profit to benefit abused and neglected children. Entry is $20 in advance, $25 at the door and includes entry, lunch and 9 beer tokens. Additional tokens available to purchase on site; ATM available. Advance tickets are available at Brown Paper Tickets, http://www.brownpapertickets.com/event/98927. This event is hosted by the Cascade Brewers Guild (also known as the Cascade Brewers Club), a group of beer aficionados and enthusiasts. They host competitions, enjoy brewery tours and have frequent social events. To learn more about joining the CBG, check out their Yahoo Group. The meetings, unless otherwise specified, are held every first Tuesday of the month at 7:00 PM at Mountain Homebrew & Wine Supply, Inc., in Kirkland, Washington. The public is welcome to attend, but after the third meeting they request annual dues of $20 to join the Club. Beer Blotter loves seeing other motivated beer lovers and drinkers! We wish the Cascade Brewers Guild “best of luck” with the upcoming event! Its going to be a great event and we wish we could be there! Gilligans Brewing rests in peace.........but not forever! 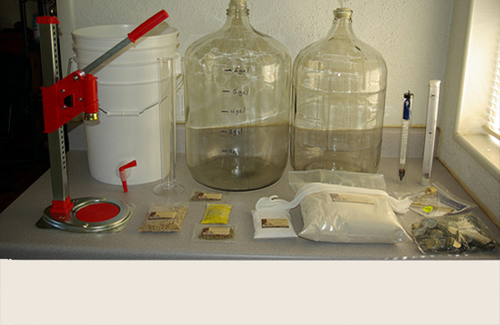 Nanobrew? What the hell is that? Well I am using it. I like the term and I think it applies to several of Seattle’s once-garaged-up breweries. 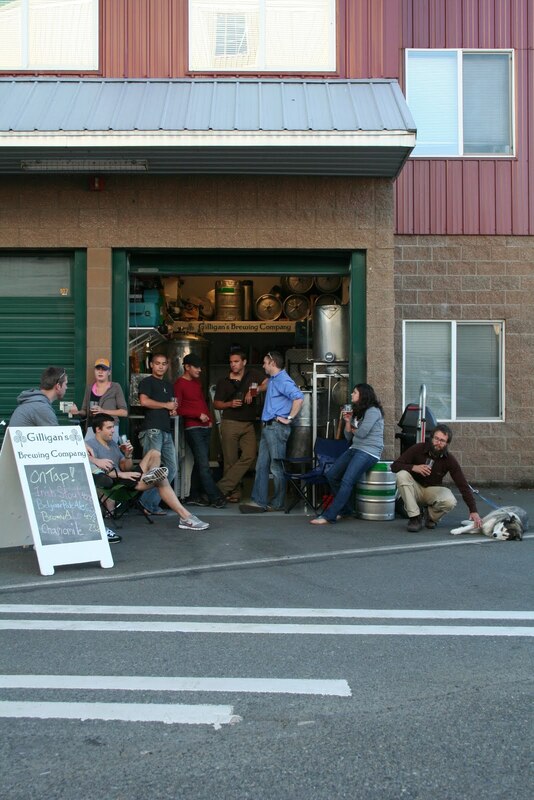 There are several breweries in the Seattle area that produce beer on a very small scale. These breweries typically serve beer at tasting rooms in the area and rely upon retail sales at their tasting rooms, as much as they rely upon their limited keg sales to local bars. Its tough to be small and make it, so these breweries are the hardest working out there. They distribute directly – on their own; they sell growlers to make sure their beer gets taken home; they print swag to make sure their name is on the breast of the public. Visiting a Nanobrewery is one of our favorite things to do. You really get face time with the brewers (who are often the only employees) and the aura of brewing (as you are typically corralled amongst the brewing equipment). 3:00-10:00 PM Friday, 1:00-10:00 PM Saturday, and 2:00-7:00 PM Sundays. Since we work down in SODO – we like their location. They are on the cusp of SODO and Georgetown and have a tasting room that is open two days a week. Stop in for beer and pretzels to fill you growlers. Address – 4700 Ohio Avenue South Unit A, Seattle WA 98134. The Tasting Room is open 3:00-7:00 p.m. Thursday and Friday. Come down for peanuts, pretzels, $3 pints, and HD TV on our 46′ LCD TV. Interested in renting the tasting room for a private party email us for rates and availability. Where are these guys!? Luckily we just asked the same question. Hopefully we will get a response soon, but for now a little back story. Schooner Exact makes some damn tasty IPAs. Their use of the Randall (a fresh hop infuser) over the past year has made them one of my personal favorites. They used to be located over in West Seattle, but have recently released information about their move to……..you guessed it – SODO! The only information that we have seen is that they will be located on 1st Avenue S, close to the West Seattle bridge (so are we – YES!). Aw schucks! They closed down their South Park commercial garage a few months back. But this was good news, as they have now moved into their new spot in Greenwood, Pillagers Pub. Though this place no longer has the tasting room feel – you can still get plenty of great beer. TRY THE RAUCHBIER! The Pub is open from 3:00pm – 12:00am Monday – Thursday and 12:00pm – 1:00am Friday – Sunday. These guys really stepped it up quickly! Former attorney Matt Lincecum turned an old warehouse in Fremont into a beer mecca. He has hired Matt Lincoln, formerly of Goose Island Belgians fame, as head brewer, and Aaron Golston, from Thirsty Bear in San Fran (we’ve been there! ), as an assistant. Because of the wealth of brewing experience between these three (Matt is also an avid home brewer) they have been able to turn out a plethora of beers in just a short time. Though only Universale Pale and a few versions of their IPA have made the taps, they have a wealth of small production beers you can get at the tasting room or for instance at Brouwers’ Big Wood Festival and their previous Hopfest (their IPA was in my top 15 for its unique quality). This was a major part of our life. We have some great connections with Gilligans and the people who work there. But, due to changes in ActivSpace policies, they were forced to move out of their amazing place on the Burke-Gilman Trail in Fremont. But, do not fret, we spoke with owner Seth Gilligan over the weekend and plans are underway for the re-emergence of GBC in early 2010. GBC will be using a brewpub format and serving up delicious food and grog. Stay tuned for more details…. Again – we aint geniuses and we are certainly missing some true tasting rooms. If you know of some – please continue the dialogue below with some comments!